Up first we've got Radiant & Rosy which is a light pink ultra holographic polish with some extra silver holographic glitter for more bling. Wow, these are blinding. This was harder to capture because it was closer to my skintone. I used 2 coats for photos, and it dried with a bit of texture from the glitter. Make sure to use a thicker topcoat if it bothers you to feel any texture. 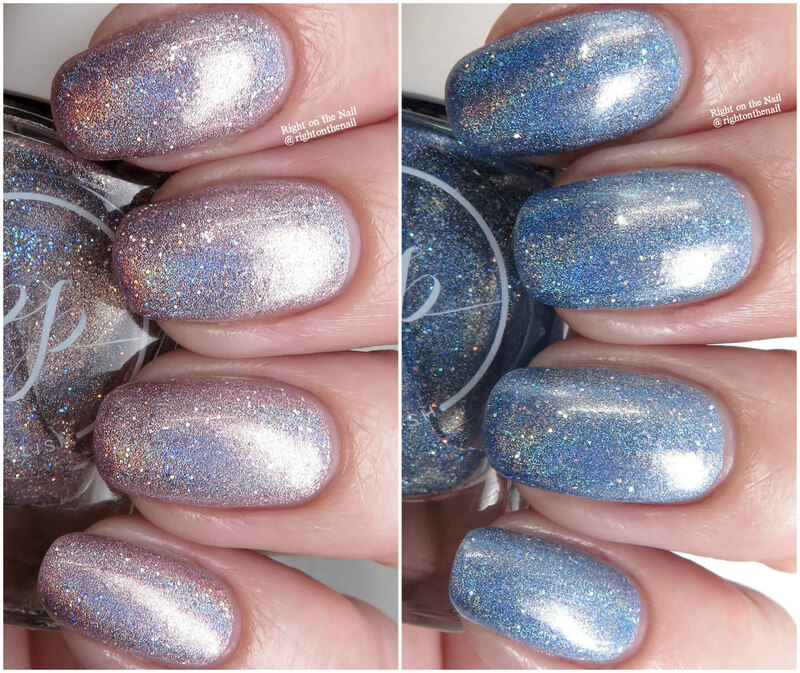 Up next is Sweet & Serene which is a light blue ultra holographic polish with the same extra silver holo glitter. My photos really don't do these justice because they are just that holographic. Same formula and texture as as mentioned above. You just can't go wrong with a polish from Painted Polish. Lexi does such a great job at holos, crellies, and microglitters. Only Radiant & Rosy is still available, and I highly recommend it. Head on over to the Painted Polish webpage, Instagram, or Facebook pages for more information.